RANDY BLYTHE RELEASES STATEMENT ABOUT DUBLIN ATTACK. RANDY BLYTHE OPENS UP ABOUT DUBLIN ATTACK! 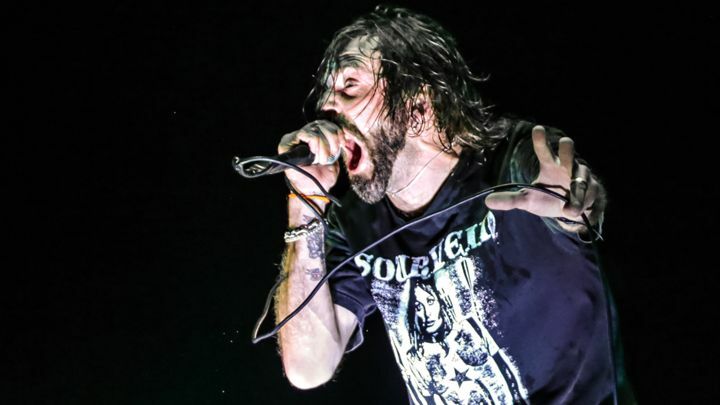 Lamb of God vocalist, Randy Blythe was the victim of a rather sinister attack on the streets of Dublin prior to the bands main stage performance in Dublin’s 3 Arena on Monday November 9th. Overdrive has all the details on the incident and a statement from Randy, as to what actually happened. 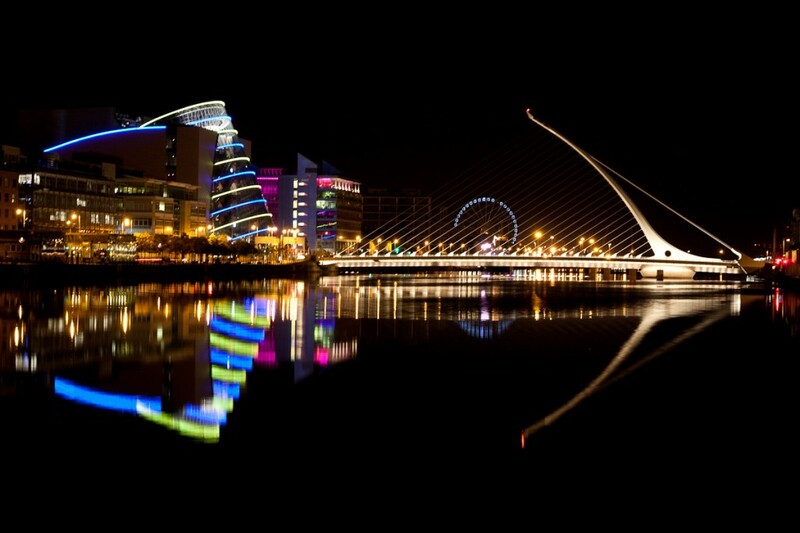 Having just arrived in Dublin on Sunday to unwind before the Megadeth show the following night, Lamb of God, vocalist Randy Blythe decided to stretch his legs and get some fresh air and use the opportunity to capture some late night photography of Dublin’s iconic Samuel Beckett bridge located near the Docklands area of the city. Normally a safe and busy part of the city, the Samuel Beckett bridge attracts many tourists and passers who take in the majestic design of the bridge, especially at night when it’s in it’s glowing glory, however as with every other city around the globe there are bad elements that infest the streets with nothing on their mind but to cause harm and misery. On this occasion, Randy was unfortunately set upon by a group of approximately 6/8 youths, who were said to be in their mid to late teens. He was surrounded and struck over the head with a blunt instrument to which he was momentarily knocked out. The gang of scum buckets then proceeded to rob him before they were disturbed by an oncoming taxi driver, who luckily stopped his car and approached the mutants, who soon fled the scene, taking with them Randy’s glasses and hat. A statement from Randy about the incident can be seen below. “Since lots of people are asking, in regards to the incident that happened in Dublin, I am fine- just a couple of scrapes and bruises, no lasting damage. I’ve hurt myself worse before skateboarding, so it’s nothing I can’t shake off- I have a pretty hard head, haha. I explained the whole thing on my Instagram (@drandallblythe)- it was regrettable, but to a great degree it was also my own fault for not paying more attention to my surroundings- I knew better, but I got distracted taking photos. I’m just glad it wasn’t any worse, because it could have been. I got off pretty easily, thanks to a good hearted cab driver who scattered those kids while I made it back to my hotel (thank you, whoever you are). That’s why I posted about it, to remind my photographer friends (and anyone else who might be out wandering in any city, not just Dublin) to remain alert at all times. These things can happen very quickly if you aren’t on guard, and it certainly did in my case, in a matter of five seconds or so- learn from my mistake. This is the reality of today’s world. And in retrospect, I’m not even mad at these youth, I’m honestly not- it’s more sad to me that jumping strangers is how some kids get their kicks. To me this indicative of a lack of proper parenting- we as a society are failing our children when we raise them in such an over-permissive manner that assaulting random people is considered fun. It is true that boys will be boys, and I am certainly no angel- I had my share of stupid scraps growing up. But it never once occurred to me to gather four or five of my friends together and go beat some random person up for that evening’s entertainment. That is not how my parents raised me. It’s weak, cowardly, and very, very unmanly. So I ask you, parents- is that what we want for our children? Cowardice and a mob mentality where people are afraid to stand on their own as individuals? I I hope not. Keep an eye on your kids, ok? As for Ireland- I’ll be back. No worries- I’m not afraid of your beautiful green island. Unfortunately, I just happened to meet a few of your undesirables, and they exist everywhere. See you on the road. We are most definitely relieved that this did not turn into anything more serious for Randy, as the man has been through enough strife to last a lifetime. With Overdrive based in Dublin, this was very shocking to hear and we would like to also point out that as Randy said, there are undesirables everywhere, in every city and town throughout the world. You just need to keep your wits about you and play it safe. Lamb of God are currently on tour with Megadeth for a selection of dates featuring Children Of Bodom and Sylosis. To find out more about the tour and purchase tickets, please hit the graphic below.